When it comes to cap screws, Screw Distributors are your suppliers of choice. Our know-how and experience in the industry means we are able to offer the best advice to our customers. So turn to Screw Distributors when it comes to selecting the right cap screws for your needs. You may be deciding between flat head cap screws, hex head cap screws, or round socket head screws. This decision requires an understanding of what you intend to use the item for, exactly. Mistakes are commonplace, and can often become unnecessarily expensive through the project. Very often, the reason behind this is due to the wrong choice of fasteners. The solution here is having quick, simple knowledge of the different types of cap screws. Knowing this would easily prevent this setback from occurring in future projects. Flat head cap screws have a thin, level head. Their ideal application is in bonding two objects that need to lie level with each other. It is also used in applications where the head of the screw needs to lie flush with the surface it’s screwed into. I.e., flat head cap screws are ideal when there can’t be any protrusions on the object surface. 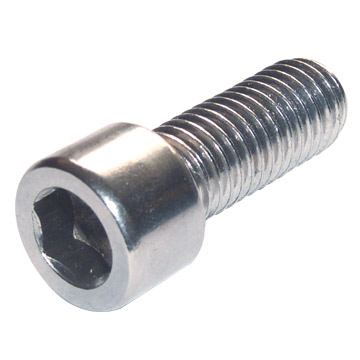 Flat head cap screws are also best applied to an object regularly exposed to rough conditions. Another example would be in aeronautics. Protrusions on an airplane’s fuselage would increase air resistance. In this case, flat head cap screws are also useful. Hex head cap screws are some of the more common types of cap screws available. Their name is self-explanatory, given that the head is hexagonal in shape. Hex head cap screws are well suited to heavy duty applications. Especially those where an object using them will experience considerable forces and wear. When purchasing hex head cap screws, take note of the application it’s needed for. Present this information to the fastener supplier, for which they can offer advice. They will likely be able to provide the most appropriate size and screw material for the application. Round socket head screws have a smooth, round head, as the name suggests. They are available in either “high” or “low”, which refers to the size of the screw head itself. Naturally, low head round socket head screws have a near flat head, while high head screws protrude more. Round socket head screws have several applications. One of these are that they bond electronics. Round socket head screws are also considered to be tough and durable. Thus, they also serve as security fasteners. 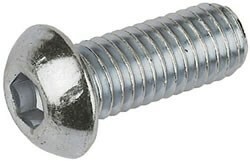 Screw Distributors stock a range of cap screws. They are available for the applications described above, and many others alongside. As well as this, we are also able to deliver them directly to your chosen address. For further queries on our fasteners, feel free to contact us.